I was hired on at WTMA for 7 p.m. till 12 midnight in September of 1974. I had worked less than four months on nights when on December 23 Program Director Lee Richards called me into his office as soon as I showed up for my regular shift. Yes, it was Christmas Eve-Eve and I thought he was going to wish me Merry Christmas and maybe even give me a bonus, However, I was about to learn I was out of a job. So along with countless department store Santas, I joined the ranks of the unemployed. I wish they had told me a week earlier because I could have cut down on the Christmas buying! 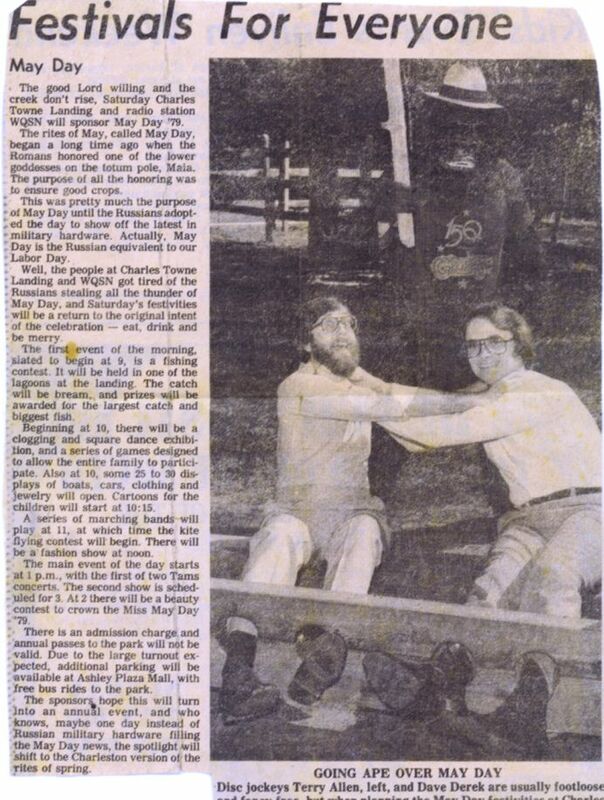 The story Lee Richards gently offered was that Charles (Chuck) Smith, president of WTMA, was forcing him to eliminate a DJ due to bad economic conditions. Since I was the most recently hired, my position was being eliminated. (The economy was indeed very bad with the Arab oil embargo causing gas shortages while interest rates and inflation were both rising.) Mr. Richards stated I would not be replaced, and would in fact be hired back if and when revenues improved or when another shift opened up. So it was really more like I was being laid off, but I took it very hard anyway. Booby Nash and Keith Nichols came by my apartment that night to try to cheer me up. WTMA's air shifts were stretched to cover the five hours I used to work. Keith Nichols wound up working five hours instead of two or three and John Burwell wound up doing 7 till midnight, which meant he did five hours instead of three. The lineup I remember when I was on nights in September, October, November and December of 1974 was Lee Richards in morning drive, Keith Nichols doing early midday, and then John Burwell followed Keith until 3 to finish up the midday. Booby Nash came on at 3 p.m. I was in from 7 till midnight and then Randy Scott did midnight till 6 a.m. Keith Nichols was Production Director. John Burwell also did lots of production. Some of the other things I remember about "The Mighty TMA" as it was called then was that we played VINYL. Stations before and after in my career mostly played tapes. WTMA kept the current records on pegs over the console with different pegs for the A, B, C and D rotations of currents. They didn't even keep the currents in shucks. We had a really great engineer named Charlie McHan. Al Khami was the main news guy I remember. That was the best AM audio air sound I ever heard bar none, but the equipment itself was not exactly top notch. I don't know how Charlie made it sound so good. 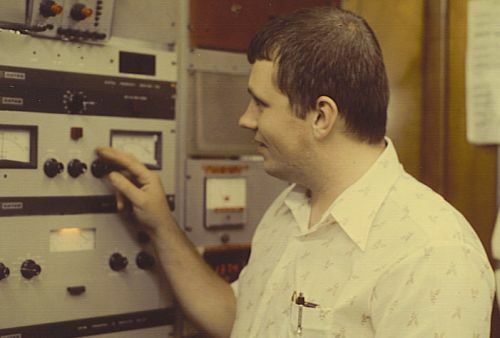 Charlie McHan was without question the best radio engineer I've ever known. WTMA had a little paper playlist that went to the record stores and record promoters. I never had so many teen callers as we had at WTMA. The phones there rocked all night every night. Bob Nash was great to work with and a real legend. 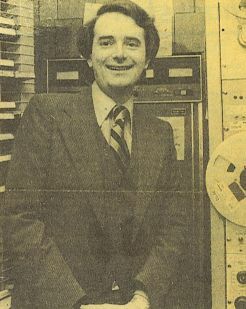 You had to go down the hall and change the tapes on WPXI every so often or they would run out (which happened too often) and there would be dead air. When I went to work there WPXI was beautiful music and then switched to SOUL to compete with WPAL. There was quite an outcry by doctor's offices as I recall. LOL. 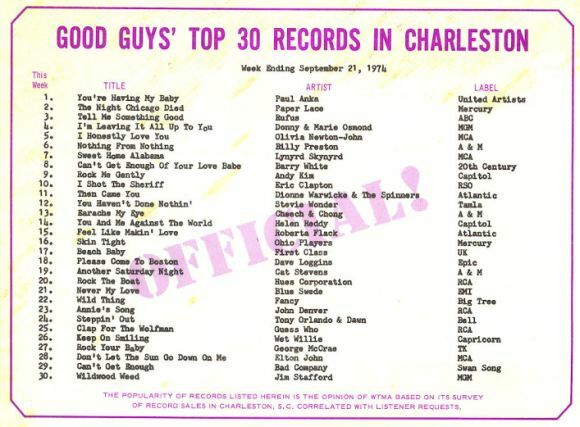 But soul was a great format for Charleston and was a bit ahead of the times. Around February of 1975 Lee Richards called me and said he wanted to talk about the newly arrived Arbitron rating report for the period of October/November 1974. I went to his office and Lee said they were the best ratings any night DJ ever had in Charleston. At the time Mr. Richards called me in for this talk, I was working part time at WWWZ, which then was a Brothers Broadcasting-owned low power free-form underground FM in a mobile home studio up in Summerville. I was looking for another full-time job, or at least a job at a radio station that wasn't on wheels. In this meeting Lee Richards told me they wanted to put me on overnights until the night show opened up and then he'd probably move me back to the 7 till midnight slot. As badly as I hated to see my friend Randy Scott suffer through what I had endured only months earlier, I took the overnight shift offer. I really believed Lee Richards would put me back on the night show the very next chance he had and I figured Randy Scott would naturally be hired back then. After his exit from WTMA Randy Scott quickly landed on overnights at WKTM-FM working for Bill Dudley. Randy and I remained friends for the remainder of my Charleston days and in fact I hired him later at WQSN. I was so naive at 20 years of age. Lee Richards left me on overnights when he hired Robert E. Lee from Kentucky to do 7 till midnight later in 1975. I was secretly delighted when Robert E. Lee's ratings tanked and he exited but I was already gone from WTMA by then. I later had a happier relationship with Robert E. Lee when we worked together again at Z-100 FM in Charlotte where he went by the name Panama Jack. He's a really nice person and I feel guilty for cheering his WTMA exit now. 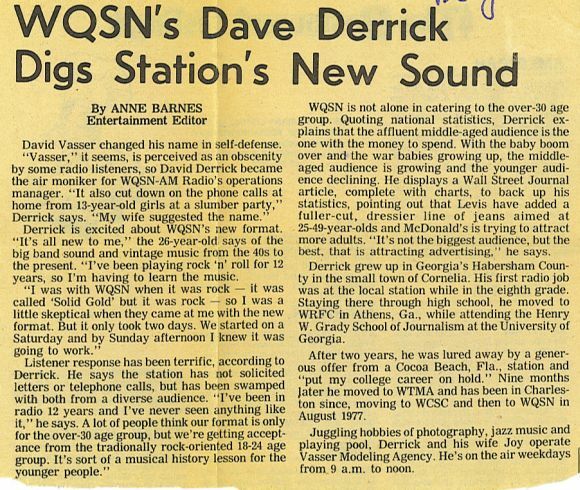 In late 1975 I was really tired of overnights and knew that I had been passed over, so I started looking again for another station. I wound up in afternoon drive and as music director at WCSC radio by virtue of having met the new WCSC GM (Tony Brown) at the apartment complex where we both lived. The difference between pay for overnights and nights at WTMA in 1974 was only about 35 or 45 dollars per week, so it wasn't a money thing that made me leave WTMA. I went to WCSC for about the same money that I was hired for initially at WTMA. While the period of September through December 1974 at WTMA was possibly the happiest and most carefree of my career, the rest of the time I worked at WTMA I was either waiting to get back on the night show or disappointed that it hadn't happened. I think I did the very best work of my radio career on the 7 till midnight show at WTMA and then in Charlotte at Magic 96.1 and Z-100 since I wasn't weighed down with any administrative duties, which was a huge distraction just about everywhere else. WCSC was mostly automated except for morning drive. When I arrived, they went live in the afternoons. WCSC PD Mike Hiott decided to move into TV fulltime, and I became PD when Kent Burkhart was hired as WCSC's consultant. Eventually we took WCSC 100% live and went full blown Top 40 to go head-to-head with WTMA. Frankly, I saw this as a personal quest to beat WTMA. I hired one or two morning guys before I managed to snag Buzz Bowman from Harrisburg, PA to do mornings at WCSC. Of course he became a long-running hit in Charleston. Hiring Buzz was probably the best hiring decision I ever made anywhere. I recall that convincing Buzz to come to Charleston took quite a bit of doing. Usually you offer someone a job and they say yes or they say no, but I had to sell the city to Buzz. He kept saying, "I don't know, I just don't know, I'm not sure about this," but eventually he came. To sum up my WCSC efforts, I failed to make any significant gains against WTMA. After exiting WCSC I agreed to go to KIOA in Des Moines, Iowa having given up on Charleston radio. I was walking out the door to pick up the U-Haul truck to load up for Des Moines when the phone rang. It was C.J. Jones from WQSN who wanted to talk to me about a job at WQSN. I went to see C.J. right away and he offered me a great job there. I backed out on the KIOA job and stayed in Charleston at WQSN, eventually becoming Operations Manager. At that time WQSN was playing 50s & 60s oldies. While it was far from being a ratings leader, everyone seemed to be serious about making money while in fact WQSN just struggled along. 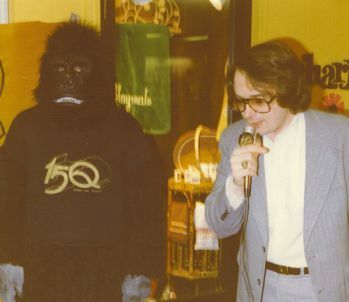 After about two years, the WQSN GM (John McNeil) went to a radio convention and heard a demo for a new big band format, and came back all fired up about it. Within two months WQSN flipped to the format in 1979 called "The Music of Your Life" and I wanted out. But suddenly WQSN started making money. I'd have to be crazy to leave now. But remember, I am crazy. 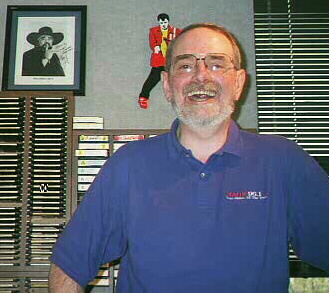 In late 1980 former WTMA sales executive Rudy Gresham, who was then the GM of WABZ in Albemarle, NC, hired me along with fellow Charleston radio personalities Ted Bell and Magic Mark Robinson to come to his station in Albemarle. I figured I could break into the Charlotte market from there. 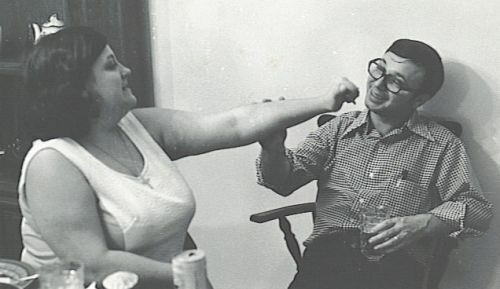 And sure enough, I did work for Stan & Sis Kaplan at WROQ, along with R.C. Chrysler at Z-100, and the great people at Magic 96.1. 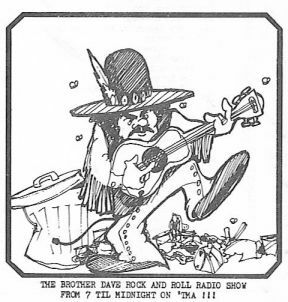 My last radio job was a 13-year run as "Brother Dave" on Magic 96.1 FM in Charlotte NC doing weekends. This was probably the best job of my radio career. I don't think working anywhere else could ever top it, so I won't even try. While at Magic 96.1, I was also recording a Brother Dave Show that ran Sunday afternoons on Cool 104.3 in Montgomery, AL, which ended in June of 2004. Magic 96.1 in Charlotte switched format to rap music in September of 2004 and I resigned, most likely weeks or perhaps even mere days ahead of the axe, because I'm not exactly what you'd consider a rap DJ. I've not seen too many other gray-haired rap DJs around. So, I'm retired from radio now and will not seek another radio job. I still do voiceover work and have a new digital studio setup at my home for that purpose. My real fulltime job since 1993 has been at the Stanly County 911 Center in Albemarle, NC where I serve as Telecommunicator, Training Officer, and National Crime Information Center Terminal Agency Coordinator. They don't have Arbitron ratings at 911, so I'm hoping they'll keep me on there until I can get that government retirement! I'm also the volunteer curator of the new Tragic96.com Website, which is a tribute to Charlotte's Magic 96.1 FM, similar to the WTMA tribute site. Additionally I administrate three long-running marketing websites. In the community where I've lived since 1980 I've also had an ongoing 20-plus year Red Cross volunteer career serving in various capacities. Plus, I'm involved in two volunteer fire departments. My family of three lives in the tiny village of Badin, NC. The WTMA of the mid 1970s was truly a giant of a radio station. I know, because I tried very hard to kill it -- but as hard as I tried I couldn't! Charleston is one of the great cities of the South. I look back very fondly on many of the great people I got to work with during my six years in Charleston, and count Charleston among the very few places where I would want to live. Dave Vasser passed away in 2018 due to complications with cancer.